Need affordable fares for your December vacation? Book as low as P199 base fare via the new Cebu Pacific seat sale! Available for booking from today until October 3, 2018 are cheap tickets of Cebu Pacific which start at P199 base fare for select route. 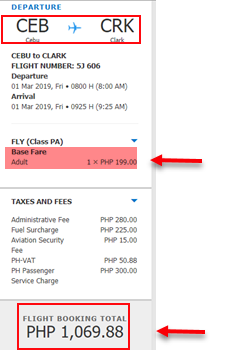 From Manila fly to Iloilo as low as P599 base fare. Affordable base fare promos can also be booked to other domestic destinations. Cebu Pacific international promo ticket cost as low as P1,299 base fare for flights to renowned places such as Hong Kong, Macau or Guangzhou. All in sale tickets can be obtained for select foreign places like Singapore, Incheon and Australia. Book Cebu Pacific promo tickets now! Limited slots on sale! 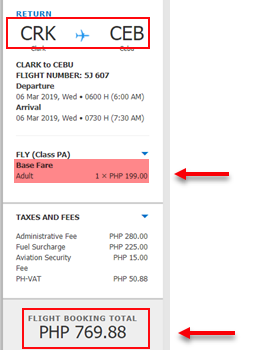 How to Avail Cebu Pacific Sale Tickets? Buy ticket at Cebu Pacific ticketing offices in Luzon, Manila, Visayas, Mindanao. 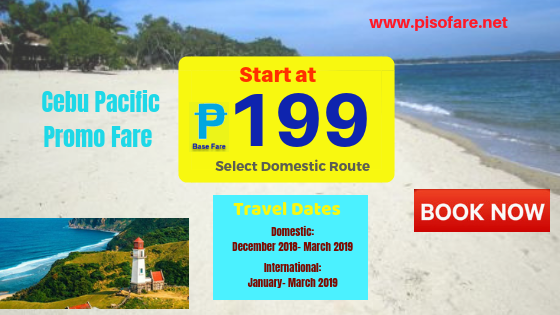 Purchase the low fares at accredited ticket booking offices in the various parts of the Philippines and select countries. Call Cebu Pacific reservation hotline. Quoted Cebu Pacific promo fare is good for one-way travel. Ticket include base fare and 7 kilos hand carry bag but exclude Web Admin Fee, VAT, Airport Terminal Fees and Fuel Surcharge. Cebu Pacific sale ticket are on limited availability. Tickets are non-refundable but re-bookable subject to rebooking charges plus fare difference. Get the promo tickets now and fly to your desired destination! Want to receive updates on promo fares and piso fare seat sale? Like and Follow us in Facebook: PISO FARE TICKET to receive seat sale updates in your newsfeed!